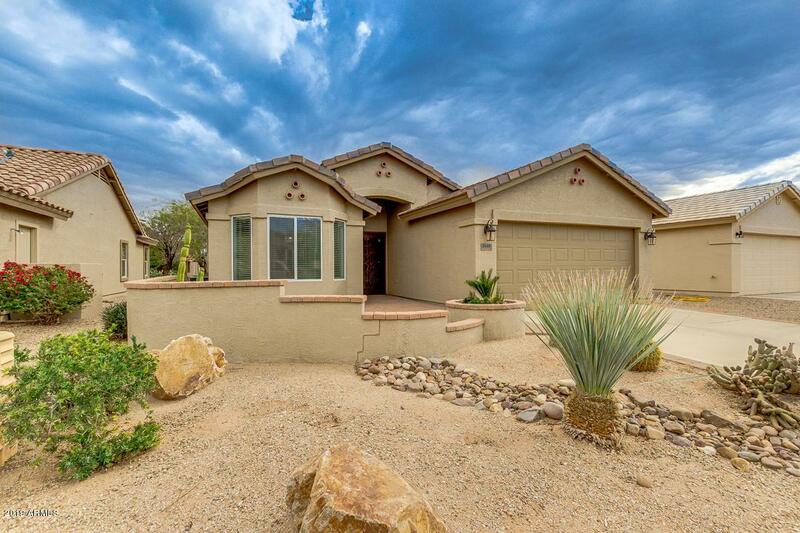 WOW you will absolutely fall in love with this 2 bedroom, 2 bathroom home for sale in Mission Royale in Casa Grande! 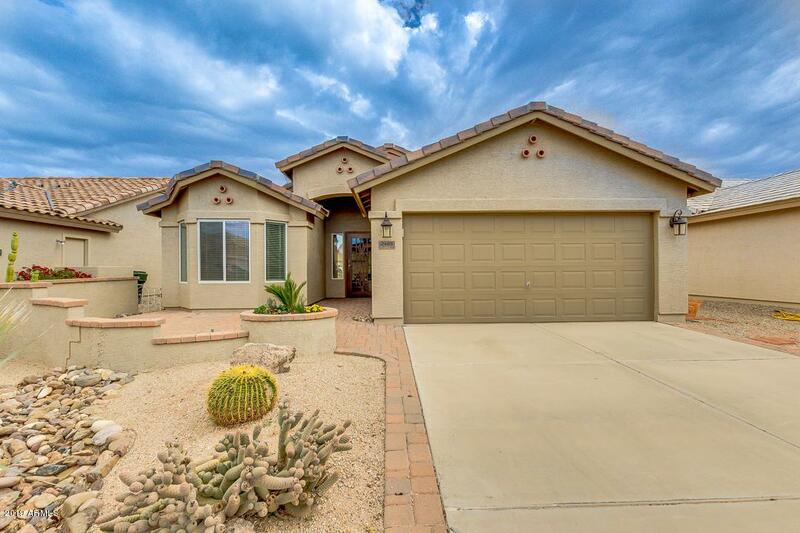 SINGLE LEVEL Meritage built home located in the popular 55+ community features a lovely pavered front porch/courtyard entry way, upgraded security door, open floorplan with tile throughout! Kitchen island open to great room--ideal for entertaining. High-top breakfast bar, plenty of oak cabinets and a large pantry! Master bedroom is HUGE with en-suite bathroom featuring a single sink, an extended walk-in shower dual flush toilet, & walk-in closet! Washer & dryer included in the laundry room + added storage cabinets. 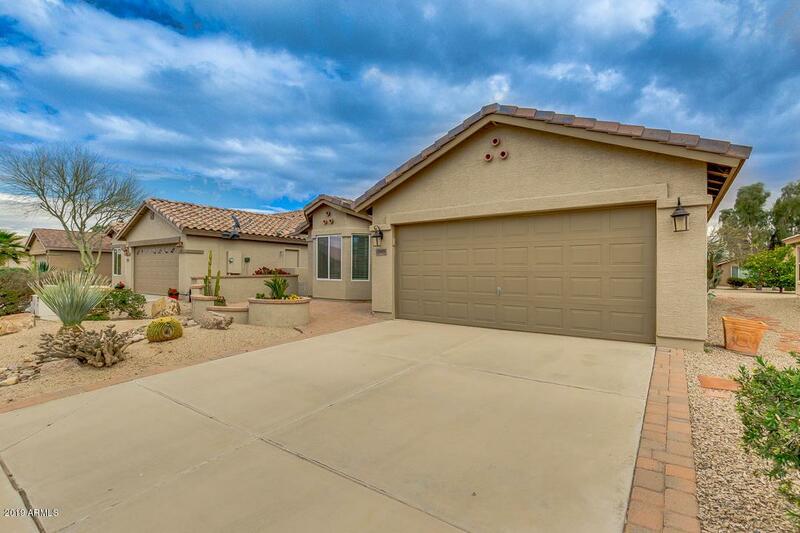 Garage features painted flooring for easy cleaning, garage door opener, + water softener! 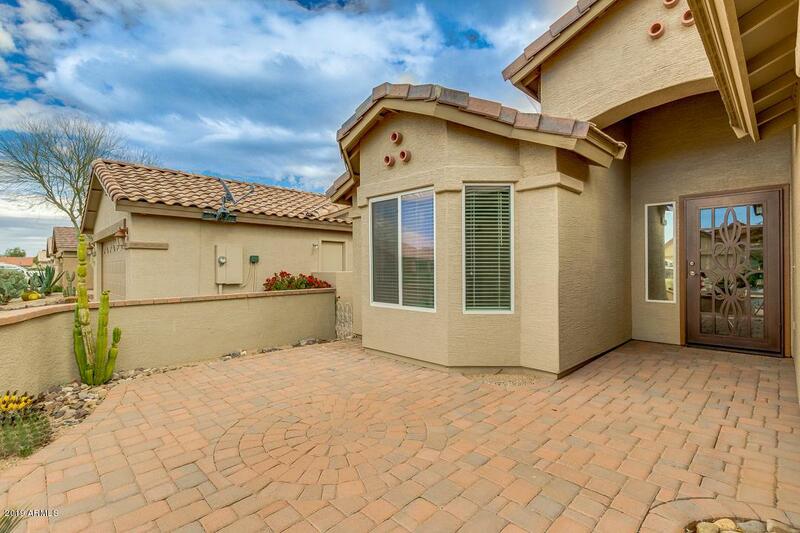 Backyard is low-maintenance & has extended covered patio & seating area.